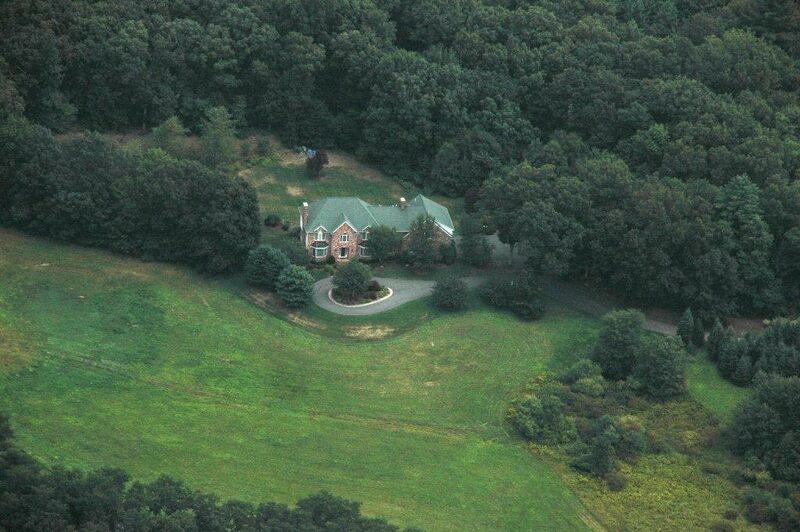 This exclusive property, Castle on the Hill, is new to the market! Situated on 6 acres at the top of a hill in Bedford, New Hampshire, this dream home exists where luxury meets comfort. From the Brazilian cherrywood floors to the high ceilings and enclosed pool, every room delights the senses. Impeccable standards and lavish care create a masterpiece of understated elegance and superb comfort. 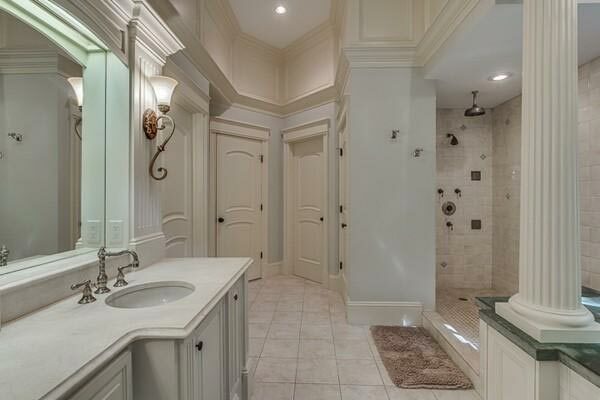 Intentionally subtle details define the exceptional quality of this amazing property. 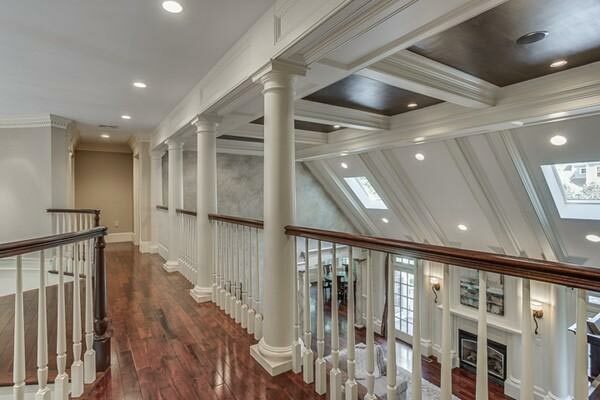 Beautiful custom mixture of woods and stone, moldings and trim, trays, cathedrals and coffered ceilings. Main level master suite, w/ fireplace, marble spa bath w/whirlpool, tile jetted shower.Lower level clubroom, ultimate bar, fitness room w/ sauna, state of art theater, and soft padded gym. 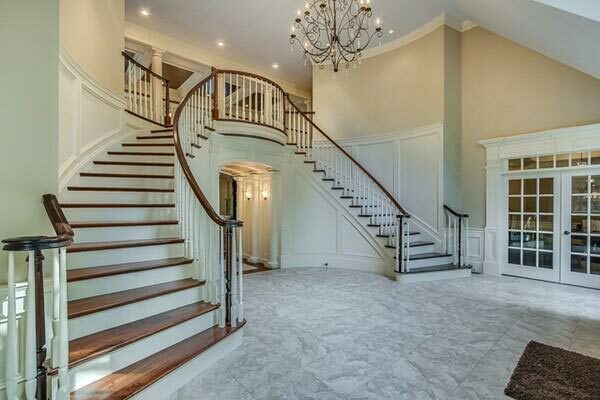 A grand 2-story foyer with curved staircase, a formal parlor, a magnificent great room, an elegant dining room, Gourmet kitchen w/wolf double ovens, sub zero refrigerator, a butler’s pantry, wet bar. gorgeous sun drenched breakfast room. Outdoor living area w/ stone fireplace and grilling area. 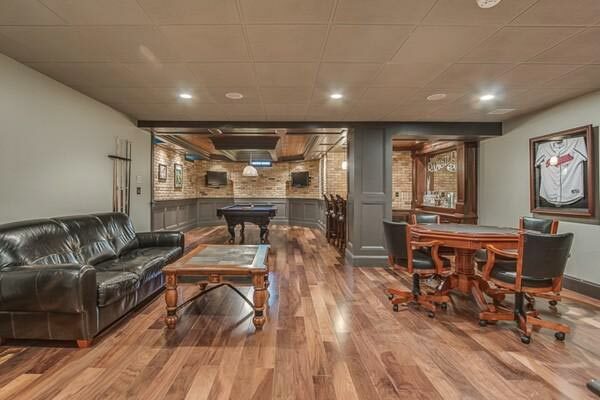 Gleaming wood floors, oversized three car garage. Destination shops and dining, and area amenities are at one’s fingertips. Live well, and entertain with ease. Majestic brick Colonial beautifully sited on private 6.89 acres in sought after area offers expansive living space throughout. 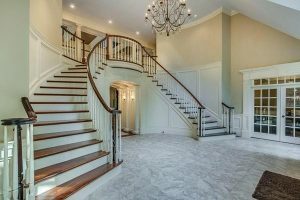 The grand two story foyer welcomes you into this meticulously maintained property. Elegant living room with fireplace and picture window features pocket doors to inviting library with exterior access to grounds. 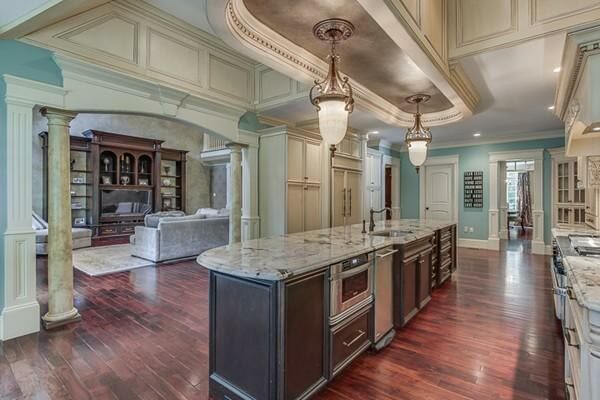 Formal dining room with built-in cabinets includes detailed moldings, tray ceiling and butler’s pantry. Gourmet chef’s kitchen offers center island and eating area overlooking gorgeous estate like setting. Generous fireplaced family room with built-ins leads to serene sunroom with floor to ceiling windows. Master suite with sitting room, walk-in closets, balcony and spa like bath provides a private oasis. 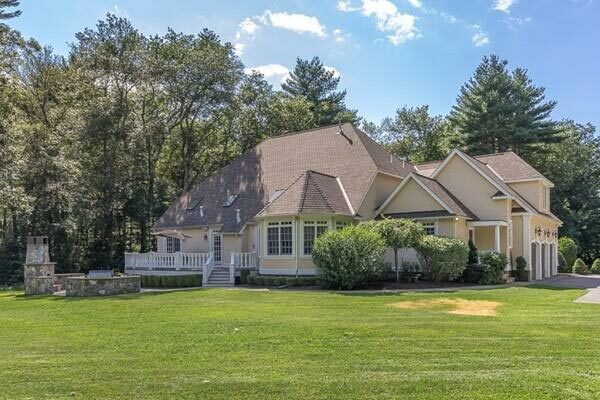 Spectacular setting with park like grounds abutting conservation.